Right now, there are two chips you can use and two communications methods. 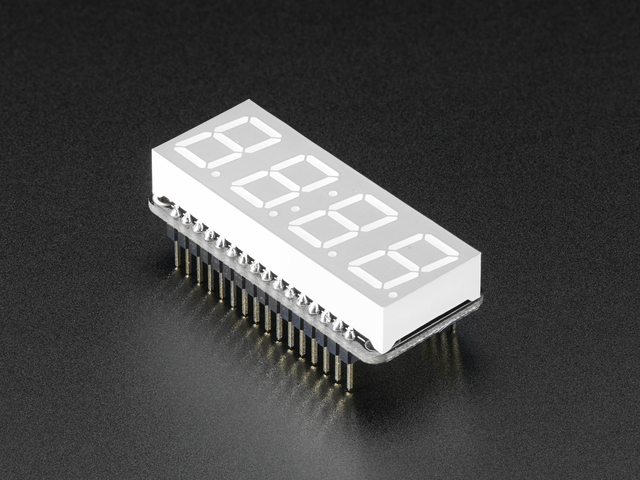 ESP8266/ESP8285 - This is lower cost and can only use the UART AT command set code. 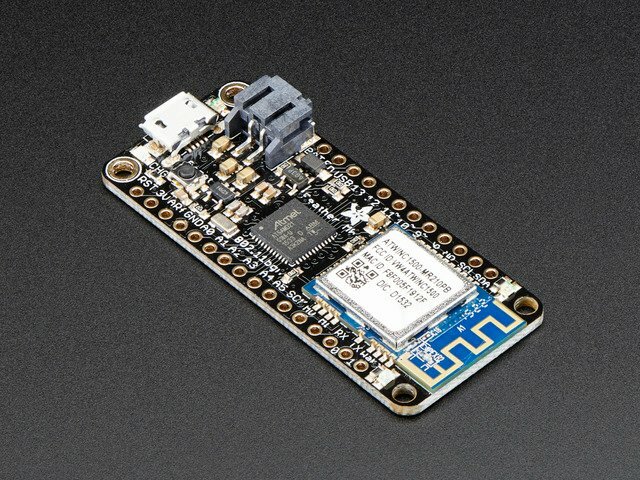 Its less expensive, somewhat more common than the ESP32 but is (in our opinion) flakey and with slow connections and inconsistent SSL support. We don't recommend it. ESP32- This is a little more expensive but can use both UART AT commands and SPI commands. SSL support is much better, and when used with SPI its all very snappy and a good experience. If you can choose - use ESP32 with SPI Commands - it's the best experience by far. 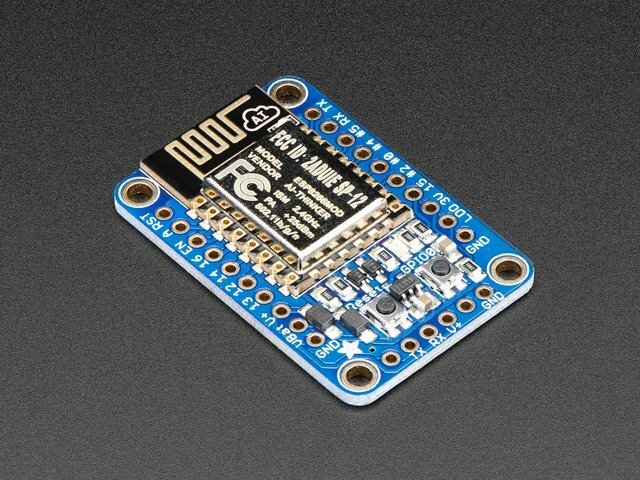 If you are for some reason totally out of luck, you can use ESP8266 or ESP8285 with AT commands, but it can be frustrating. We wrote this guide up during our experimentations but have decide to NO LONGER maintain the ESP + AT Commands firmware or code. It works-ish, and some friendly community members will be hacking on it, but we offer zero support for it! 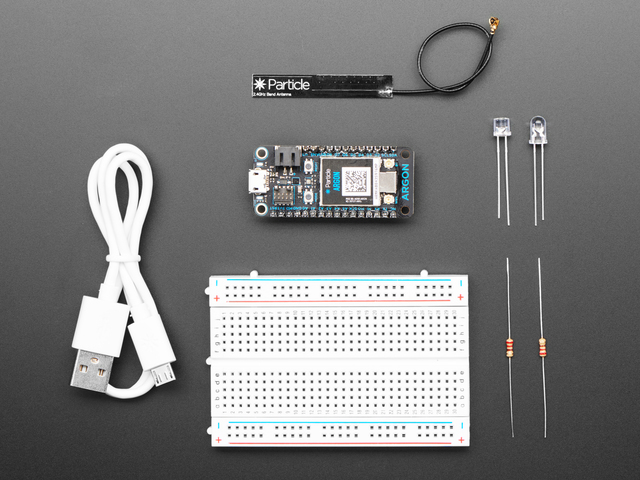 The first step is to get an ESP8266, ESP32 or a Particle Argon with it built-in ESP32 module. 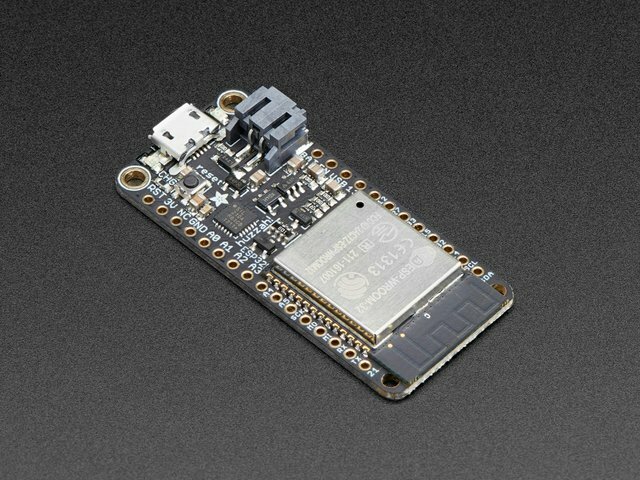 We recommend an ESP32 breakout or Feather. Please remember, the AT command firmware is not recommended unless you absolutely have to use it! SPI mode is waaaay better and more complete! Connect to your ESP chip with a USB serial converter, perhaps it's even built-in depending on the board. (Download and uzip the ESP8266 AT Firmware zip file. There will be a folder called esp8266/ containing 3 files. Put the board into bootload mode (if you have to) by pulling GPIO 0 down to ground while resetting. Use the esptool command line to upload the firmware, for example (your serial port name may vary). Change the name of the binary file to match, and the serial port of your USB-serial adapter or Huzzah32 UART connection. You can connect with a terminal over the USB-Serial connection. Use 115200 baud. Hit the reset button to see the debug output. If you have the AT command firmware installed, when you type, characters will be echo'd. You can try typing AT to get an AT OK reply Make sure your terminal software sends new-lines and carriage returns when you hit return or send data. They are required. You don't have to wire up a separate USB serial converter if you don't like or can't get access to the pins. 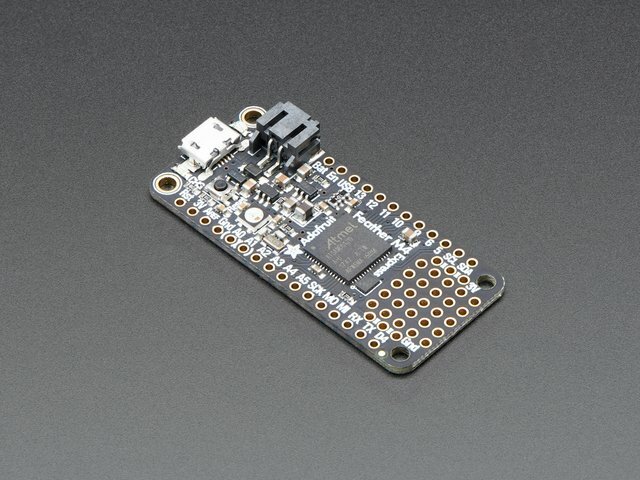 Instead, you can use miniesptool which will run on a CircuitPlayground Express board. You will need at least 1MB of disk space on the Express board, so clear off some space for the firmware! Likewise, your ESP8266 or ESP8285 module must have at least 1MB of Flash - old 512KB ESP-01's wont work! 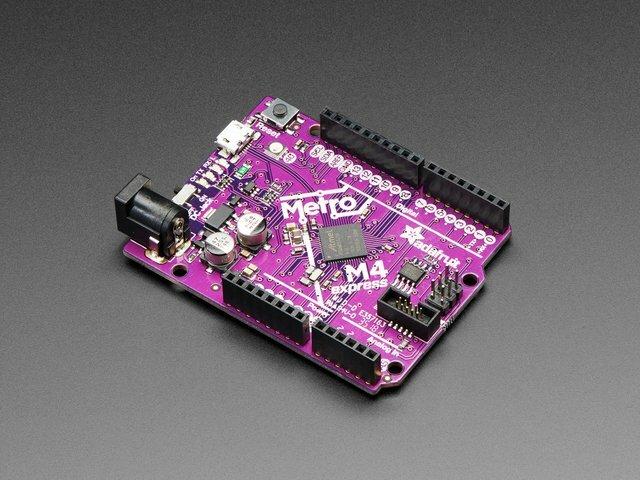 The library to support the upload is adafruit_miniesptool and it is include in the latest Bundle or you can download adafruit_miniesptool from github and install it on your Express board in the root directory of you CIRCUITPY drive. Note: in the screenshot below, adafruit_miniesptool.py in in the root directory -- If you are using it from the bundle and placed in /lib then you will not see it. Change the GPIO0 and Reset pin assignment if necessary. When complete, you may delete the esp8266/ folder to free up space. Some boards like the Particle ARGON have an ESP32 wired directly in place, so you can only program it via CircuitPython. 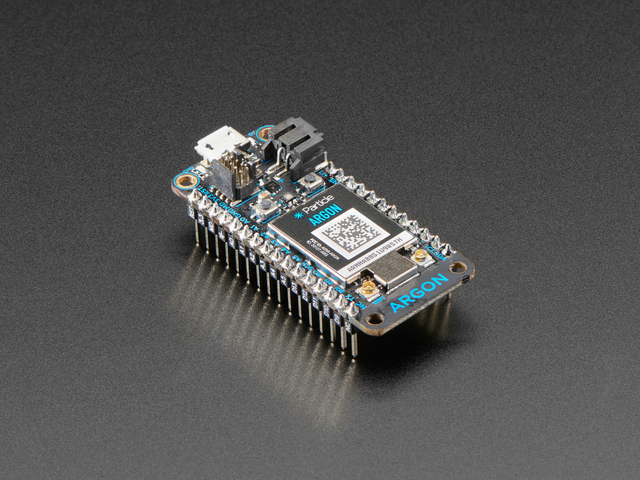 Download the ESP32 for particle_argon firmware bundle above, unzip it, and place the esp32 folder in the root directory of your CIRCUITPY drive. Note that unlike the ESP8266 firmware, this is a bundle of files. The ESP8266 firmware is 'combined' but we wouldn't be able to fit the combined ESP32 firmware on a 2MB flash disk so we kept the files separate. Save the following as miniesptool_esp32argon.py on your board. Open the serial terminal, and connect to the REPL. This'll start the uploading process, it'll take a few minutes. ESP32 programming is similar but more advanced, and the files are bigger. We recommend adding md5 sums for each file, you can calculate these with command line tools on your computer. That way, each file is checksummed after writing to avoid mis-writes! If you aren't using the exact same firmware we are, all the MD5's will need re-calculating! We don't calculate them in-chip since CircuitPython doesn't have built-in MD5 and we wanted to keep the code simple. OK once that is done, you can finally use your freshly-programmed module to connect to the 'net. You can remove miniesptool and the firmware files from your Express' CIRCUITPY drive..
Download and install the ESP AT control library onto your CircuitPython board. Since there are many steps, it's best to run full examples by saving them to code.py on your board rather than interacting with the REPL. That said, you really want to have a serial connection open to see what's going on. Note the UART pins are 'cross wired' - RX to TX. We don't use GPIO 0 but if you want you can keep it connected so that you can go back and upload firmware if you need. Create a secrets.py file containing settings for your local WiFi router. See the example template below. Change the values to match the name of your wireless network and its password. Copy this file to your CIRCUITPY drive. Start the test by saving the example below to your board as code.py or save it by another name and execute it manually at the REPL. Now that you're connected, you will probably want to get data from the Internet! Here's a demo showing how you can get data from the web via a URL. The ESP supports SSL, so if you want to use secure connections, start the URL with https://. Update your SSID and password and try it out! While we work on the library, you may notice it takes a lot of retries to get going. Did we mention parsing AT commands isn't the most fun way to communicate with the Internet? However, it will eventually work and usually once it starts working, it will keep up. Notice that we add loops and try: except: blocks to catch failures and automatically retry our commands, this is essential for any network project due to the inconsistencies/reliability issues you will experience. That's true even for Ethernet! One of the powers of Python is the built-in dataparsing capabilites. Stuff that's really hard in C, like json parsing, comes with the larger builds of CircuitPython, making it really easy to get IoT projects going. For example, we can connect to internet API's and parse out the data we want very fast. In this demo, we'll use the coinbase API for the current Bitcoin pricing. This is one of the few API's we found that doesn't require a key, so it's very fast to test and use. You can navigate through it. Here's the full example. Note we use a try block for json parsing in case the data comes back to us weird or its somehow not valid json data. spits out JSON data, we can display it! """Light up LEDs and play a tune"""
This guide was first published on Dec 16, 2018. It was last updated on Dec 16, 2018.